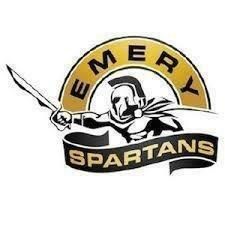 The Emery Spartans boys’ golf team traveled to Carbon for a match on Thursday. While the boys were unable to secure a top score, they finished fifth at 366. Following the Spartans were South Sevier with 367 and San Juan with 368. North Sanpete finished triumphant with 326 and Grand followed closely at 333. Oakley Toomer had the low round of the day with 75. Shaidyn Killpack finished with 91, Logan Healey with 96, Taylor Lindsey, 104, Devan Guymon, 107, Tayven Guymon, 111, Trevin Killpack, 116, and Kavery Killpack finished out the scoring at 121. The boys next look to a match at the state site on Monday.